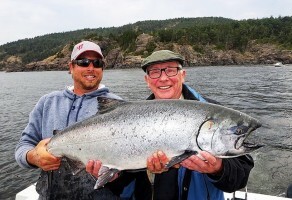 Looking for a salmon or halibut fishing adventure on Vancouver Island? 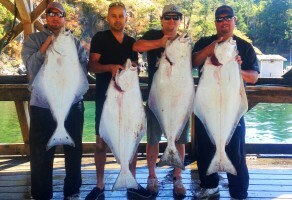 Good Time Dave’s Fishing Charters specializes in Pacific Salmon and Halibut adventures. With transportation provided to and from the marina, your Vancouver Island fishing charter will get under way in East Sooke (home of the big Chinooks) just a short drive West of Victoria, British Columbia. The renowned waters of The Juan De Fuca Strait produce Tyee Chinook Salmon and barn door size Halibut. Good Time Dave’s is dedicated to hook’n you up. 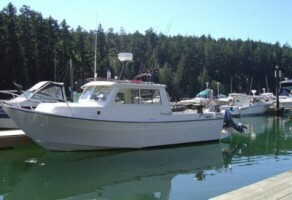 Book your charter soon and come enjoy some of the best fishing Vancouver Island has to offer. Whether you’re looking for Salmon or Halibut fishing in Victoria, Sooke, or the Vancouver Island British Columbia area, Good Time Dave’s is the charter for you.